Bottlenose dolphins (Tursiops truncates) are common off Louisiana - or they were. NOAA (US National Oceanic and Atmospheric Administartion) marine biologists have physically examined 32 live dolphins from Barataria Bay. They were underweight, anaemic, with low blood sugar and have some symptoms of lung and liver disease. Hormone levels (especially cortisol and aldosterone) were also low in half of the sampled animals. Their survival is doubtful, especially after one was found dead six months later. Deepwater Horizon was the BP oil spill from the Macando oil well blow-out that shocked and horrified us all. NOAA is issuing these preliminary health reports to help vets and others involved in treating these animals. Springtime strandings of neonatal dolphins is normal, but in 2010/2011 many older dolphins also stranded, presumably because of stress and health problems. As visible oil is still present in Barataria Bay, commercial fishing has been banned there, so the dolphins can be presumed to be affected by fish containing residues. 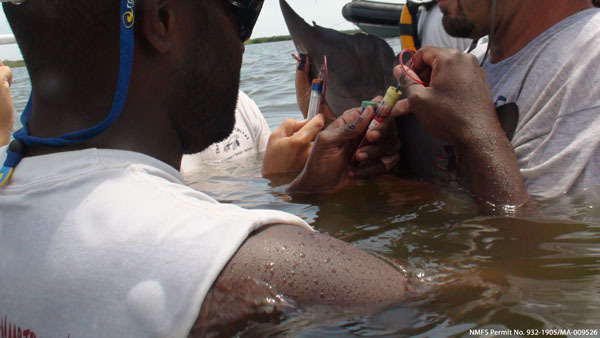 Ingestion, inhalation and external effects on dolphins have been investigated. 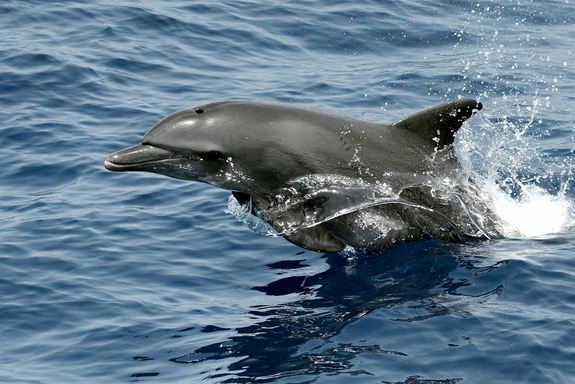 The extremely varied diet of tursiops is possibly one of the causes of any poisoning. They are successful because they will feed on bottom dwelling fish, sharks, eels crabs, shrimps and even large pelagic fish such as yellowtail. They feed on discards from trawlers too, but have suffered from pollution in the past. Numbers are also down where fishing has reduced stocks of the fish they eat in certain areas. It is estimated that 4.9 million barrels or 205 million gallons were released from Deepwater Horizon. It's unlikely that species such as the bottlenose can escape unscathed given their past history and the tragic history of these massive pollutions on many different organisms.